FREE over 200 mini-love lessons touching thousands of lives in over 190 countries – worldwide! Synopsis: This mini-love lesson, both seriously and lightly, gets the reader into some the many surprising health and happiness benefits of becoming skilled at love hugs, doing more for your loved ones, yourself and your love relationships. 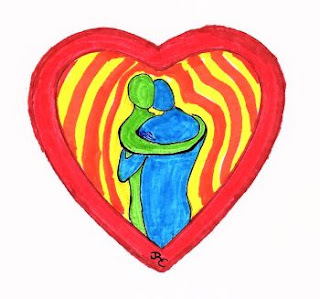 A good love hug may surprise you with how many broad-ranging benefits it offers. But first let’s be sure what were talking about. Not all hugs are love hugs. A real love hug starts with a person having and then wanting to give a gift of some sincere, heartfelt, real love. It frequently contains a fair amount of empathy and a bit of evaluation of what the recipient will find beneficial and/or enjoyable. Then, of course, it takes behavioral action. It seldom contains elements of being sexual, perfunctory, manipulative or anything other than a behavioral connection gift. Love hugs are for everybody – friends, family, young, old, mates, kids, etc. Hugs can be of a great many different types: tender, sweet, comforting, zestful, bold, intimate, lively, and a lot more. Most love hugs include a lot of body contact. Standing and laying down love hugs are often full-bodied and can go from cheek to cheek contact all the way down to the knees or even the feet. Sitting, they usually in essence are sort of like cuddling and physically encompassing. Love hugging frequently last a bit longer than other kinds of hugs and, therefore, can be savored better. Love hugs can be considered a sort of pick me up behavioral vitamin. Have at least one a day. Most genuine love hugs benefit both the initiator and the receiver. This group of benefits is increased when the receiver hugs back. Even without this hug back response, both people benefit. There also are multiple person or clump love hugs with groups of close friends and family, sometimes even including pets. The following are a dozen of the many, frequent benefits research has discovered having to do with love hugging. Remember that both the person giving and the one getting an initiated love hug may receive the above listed benefits. There are quite a few other benefits research has discovered but the ones listed above are some of the main ones. Love hugs are part of the broader spectrum of tactile love which brain research increasingly shows loving touch to be very healthful and in some cases vitally necessary. Right this minute whatever amount of love hugging you already do, consider love hugging a little more often and a bit longer. Also, when you could use a love hug and you realize it, consider directly, quickly and clearly asking for it, not hinting or silently hoping someone will sense your want and act. With good, healthy, self love, don’t expect anybody to read your mind, just ask for what you want – you are worth it. You also can specify whether you want a big bear hug or a sweet soft bunny type love hug or whatever else you might really want. Do you have anti-touch or anti-hug training or fears from previous life experiences? If so, consider doing some work on that because health research is all very pro-love hug and love touch except in the case of some very rare and deplorable conditions. You can become very artful in delivering love through hugs of various types and sorts. Think about custom tailoring your love hugs to the intended hug recipient and their current needs, wishes and wants. Then give them what they likely want. Don’t forget they may just want to see you greatly enjoying having a love hug, so as you give or get one show your joy. It is okay to be a little selfish in lots of love hugs. You also may improve the hugs you get by thinking and asking for little experiments in changing what you are getting in the way of a hug. Maybe you want the arms a little tighter, or held differently or some other change but have you asked for it? That can be part of healthy self-love. You can learn more about how loving touch is important and how you can develop those skills of loving touch by going to the index at this site and looking up mini-love lessons on loving touch. You also can get this mini-love lesson deeper inside yourself by talking about it to someone else. So, who are you going to do that with? 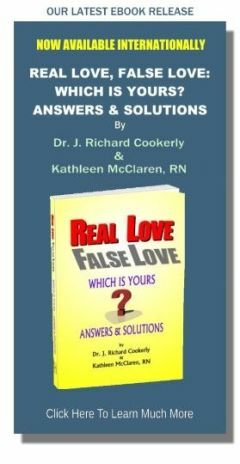 ♥ Love Success Question: Concerning the people you love, do you know for sure just exactly how they want to be hugged– more tenderly, more strongly, more softly, with or without caressing, differing hand placement, open or closed eyes, etc. ?